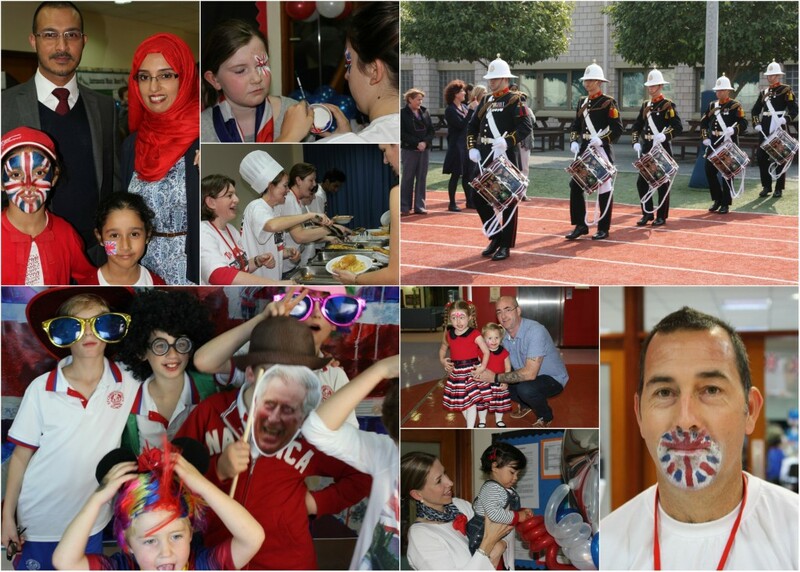 St Christopher’s Infant and Junior Schools hosted a traditional British Fish n’ Chip Supper as part of Bahrain’s ‘Great British Week’ celebrations. 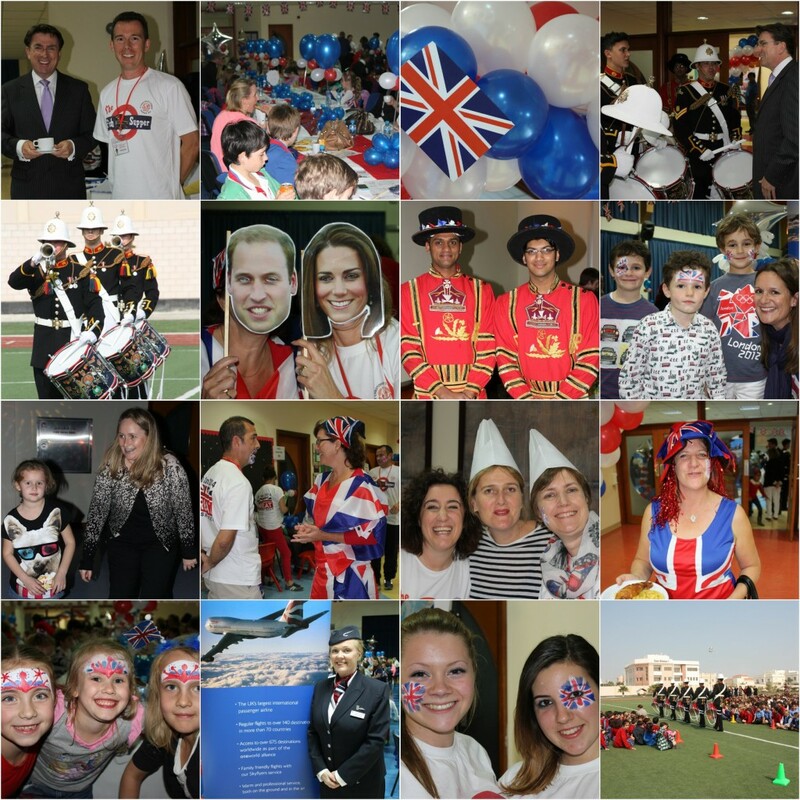 Over 300 adults and children attended the event and entered into the spirit of celebrating all things British. Children (and some adults!) enjoyed having their faces painted in patriotic red, white and blue before they made their way into the main Junior Hall to enjoy Great British music, comedy and sport clips on the giant screen. Thanks to the huge generosity of Party Mania, the hall looked fabulous decked out in balloons and table cloths of red, white and blue. A children’s disco was buzzing in the Infant Hall with lots of games and enthusiastic dancing. As they enjoyed their fish n’ chips, families had a go at a British themed quiz and posed for photographs with masks of the British Royal Family. HE British Ambassador, Iain Lindsey OBE, attended with his wife, Bridget and enjoyed some fish n’ chips which were cooked to perfection by the Dilmun Club and served by a great team of staff volunteers. The evening culminated in the raffle which was won by an ecstatic, Miriam Sandy, who proclaimed that she had never won anything before. The prize of two return tickets to London was generously donated by British Airways and presented by Debbie Beadie. Proceeds from the raffle will support the local Red Crescent Charity. Thank you to all who joined us to celebrate Great British Week.